Evandro Salles, artist and curator of Visual Arts, is the new cultural Director of the Art Museum of the river-SEA. 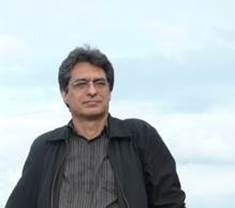 With extensive expertise in Visual Arts, Evandro founded and directed, between 1992 and 1996, Fundação Athos Bulcão, was co-founder of Future Art Gallery (Brasilia), founder of the Institute HOME (River) and served as Assistant Secretary of culture of the Federal District, from 1997 to 1998. As curator, conceived important exhibitions, such as "Amilcar de Castro: Repetition and synthesis ", "Spanish Masters and the engraving", "Utopian Graphics: Russian graphic art 1904-1942 "and" Fluxus ", among others. This year was responsible for curating the exhibition "The infinite poem of Wlademir Dias-Pino”, I was recently playing at sea. Dedicated to art and visual culture, the Art Museum of Rio received more than 60 1000 visitors in August, that number was boosted by the presence of the works "Abaporu"and" Antrofagia "during the Olympic Games at the show"The color of Brazil"– which goes on until January 2017. Are still in the Museum exhibitions "Leopoldina, Princess of independence, of Arts and science"and" body Languages carioca [the Vertigo of the river] -terminating your season 9 October. An initiative of Prefeitura do Rio in partnership with Fundação Roberto Marinho, the sea has activities that involve collecting, registration, search, preservation and return of cultural property to the community. Proactive support space education and culture, the museum was born with a school - the School Look -, whose proposal is innovative museological: foster the development of an educational program of reference for actions in Brazil and abroad, combining art and education from the curatorial program that guides the institution. A MAR It is managed by the Odeon, a social organization of culture, selected by the Rio de Janeiro City Hall for public notice. The museum has the Globe Group as maintainer, the BNDES as exhibition supporter, the Ita as copatrocinador of Leopoldina, Princess of independence, of Arts and Sciences, and j. p.. Morgan as supporter body language carioca [the Vertigo of the river]. The School has the Fecomercio System look RJ, through the Sesc, institutional partner. It also has the support of Banco Votorantim and Grupo Libra as supporter of educational visits, and Accenture and the new River as supporters of the SEA at the Academy via Municipal law of incentive to culture. The project Sea of Music receives support from TIM via State law of incentive to culture and the Souza Cruz is the copatrocinadora Sunday at sea. It also has the support of the Government of the State of Rio de Janeiro, and implementation of the Ministry of culture and the Federal Government of Brazil through the Federal law of incentive to culture.